Here is the most recent drawing from my art class. It gets repetitive drawing these still life objects over and over again, but it is definitely helping with the mechanics of things. In other news, today was a good day. I’m going to have breakfast for dinner. Enjoy! 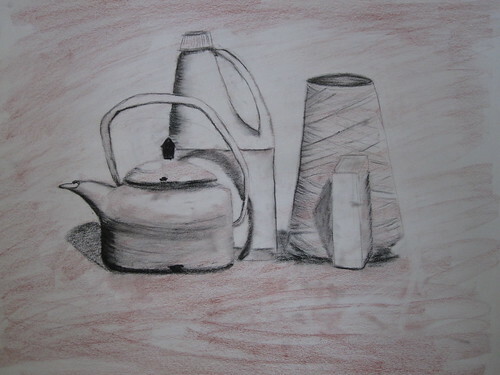 This entry was posted in art and tagged art, bleach, charcoal, drawing, kettle, sketch, tea, twine, works. Bookmark the permalink.